Are you thinking about studying abroad? Are you going to be required to take the TOELF exam and are not really sure what to expect from it, or if you are even ready to take it? Today you are going to take a step closer to becoming a TOEFL Jedi. Today you are going to learn all about the reading section of this worldwide test, which so many people need to take in order to excel their academic and professional careers. Today you are going to find out exactly what to expect from this troublesome exam that is dividing you from all of your desires to travel. 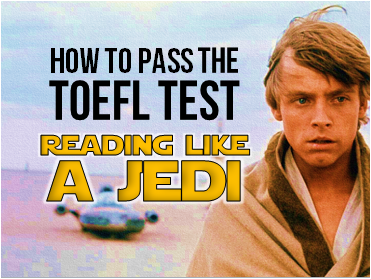 Today I’m going to teach you how to use the force and pass the TOEFL test like a true Jedi . The TOEFL (Test of English as a Foreign Language) is essential for anyone who is looking to study abroad in an English speaking university or college. The test is sometimes required for working in English speaking companies and for acceptance in scholarship programs. It is made up of 4 sections; reading, writing, listening and speaking. Although most of the questions are generally related to academic topics, prior knowledge to those topics can help, but are not necessary. The purpose of TOEFL is to test you understanding of the language, and to see if you can handle a university environment. The Reading section of the TOEFL test is made up of 3 to 5 academic reading passages. The passages are all related to some kind of University subject, ranging from geography to chemistry, history, literature and anything else you can think of. Don’t worry too much if you think you don’t know too much about several subjects, the questions asked are not about technical aspects of the passage. The main purpose of this exam is to test your reading comprehension, not your academic knowledge. Each passage will have something between 600 to 800 words and about 15 comprehension questions that go with it. Each question is timed separately and you will get 20 minutes to read and complete the questions for each passage. That means that if you get 3 reading passages the total time will be 60 minutes, 5 reading passages means 100 minutes. This will be randomly decided depending on where you take the test. The test screen will be split into two halves. On the right side of your screen you will see the written passage and on the left side the questions will appear one by one. If you are unsure of a question you can just skip it and come back to it later. Don’t spend too much time on one question. There is also a review button that opens up a full list of all the questions from that passage so you can easily see which questions you have answered or not. In this section you can expect 10 different kinds of questions. These questions will vary a lot and you will never know what kinds of questions each passage will have, so familiarize yourself with them all. A detail question will be related to a specific fact from the text. Usually they will ask you about the author’s point of view about something. According to the author, what, why, when, …? In paragraph 2 what does the author mean by…? This question is directly checking your knowledge of an extensive range of vocabulary. In this section you will be shown a word from the passage and then asked which of the following words is a synonym of the given word. The word ____ in paragraph 5 is closest in meaning to which word …? Even if your vocabulary isn’t so great, you can generally decipher the meaning based on the context of the passage. That’s right, a negative fact! You can easily clarify that this is a negative question with words like NOT, or EXCEPT. I recommend that you underline these words so that you remember that the question is negative. The question is going to ask you which information is not mentioned in the passage. According to paragraph 6, all of these answers are correct EXCEPT?? Which of the following facts does the author NOT mention in the passage? In this question you are going to be able to understand the reason why the author has added a specific phrase or concept. You will have to choose from four reasons. Why does the author mention the word ____ in paragraph 1? Why does the author use the word _____ in paragraph 3? It may be concluded that aliens don’t exist because? It may be concluded that human beings are omnivores because? This question is very similar to the vocabulary question but it asks us the reference of one word to another. The word “them” in paragraph 2 refers to what? The word “others” in the passage refers to ? In this problem you will be presented with a sentence that asks you to insert it into a part of the passage. The question will show you the part of the passage with 4 squares to choose from. Make sure that you read the whole paragraph before and after you insert the word to make sure it flows well with the new insertion. Here you will be given an important phrase from the passage and asked to choose from a set of 5 other phrases which one is the best restatement. Which of the sentences below best expresses the information in the highlighted statement in the passage? The other choices change the meaning or leave out the important information. A summary question asks you to complete a summary of the passage. You have to choose 3 sentences from 6 choices. Three of the given sentences will be incorrect. An introduction for a short summary of the passage appears below. Complete the summary by selecting the 3 answer choices that mention the most important points in the passage. Some sentences do not belong in the summary because they express ideas that are not included in the passage or are minor points of the passage. Summary Introduction example: Scientists have linked the mass extinction at the end of the Cretaceous with a meteorite impact on Earth. Now you would have to choose 3 phrases out of 6 that present the most important information and are directly related to the summary introduction. In this question you will have to match phrases with the category to which they refer. You will be presented with a list of phrases on the left side of the question screen, and three categories on the right side of the screen. All you have to do is categorize each phrase from the left to one of the words on the right. Here you just have to select the word with the mouse and drag it over to the right category. 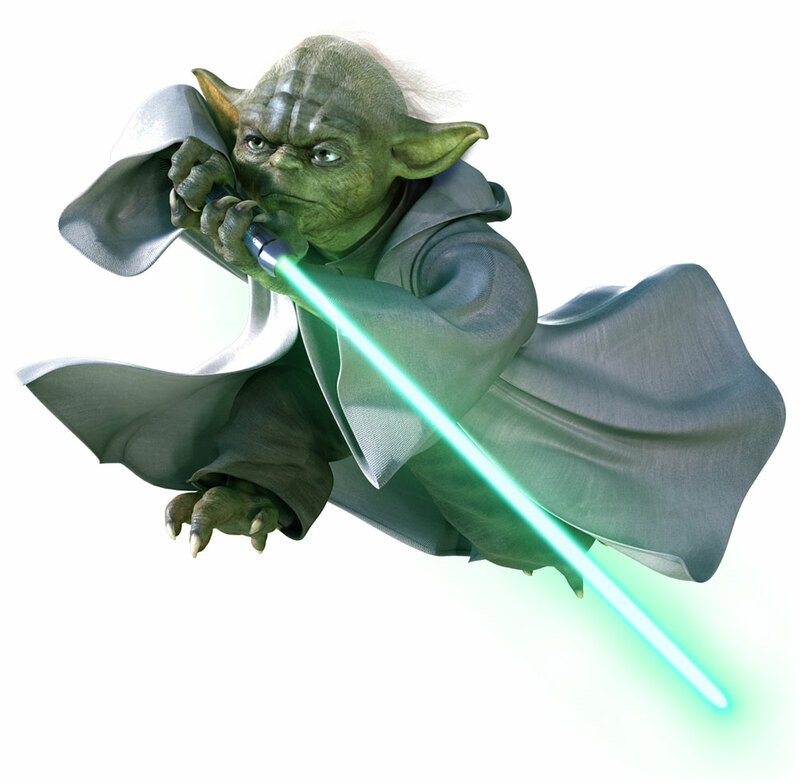 There you have it TOEFL Jedis, these are the ten questions you can expect from the reading section of the TOEFL exam. Remember that these questions can vary a little but the basic structure with be from these 10 example questions I have just shown you. The best weapon you can have to pass the TOEFL exam is preparation. Knowing exactly what to expect from the exam is going to make you feel more confident on the day of your test and not insecure or uncertain about answering all the different types of questions. For more articles that will revolutionize your English and to stay current with everything happening in RealLife English (community, events, resources) remember to sign up for our mailing list. The most impotant thing I want to know about TOEFL is how to be a good instructor in giving the clues to my students in answering the TOEFL TEST. Is there any body could you please give some place where I can take a ToT (training on trainer)?